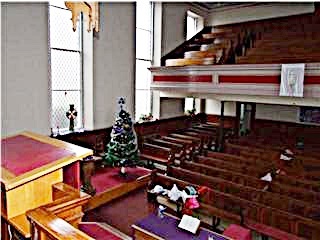 The United Reformed Church is an exciting denomination with Christian unity in its DNA. 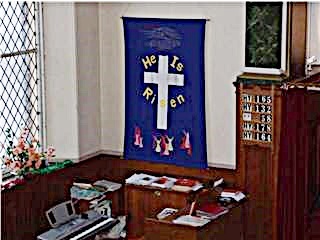 It was formed in 1972 when two English and Welsh denominations - the Congregational Union of England and Wales and the Presbyterian Church of England joined together. In 1980 a small Christian grouping, the Churches of Christ, also joined. The Churches of Christ were distinctive in their celebration of the Lord's Supper each week, their practice of adult, believers' baptism and their insistence that every member of the Church should take responsibility for its life and witness. 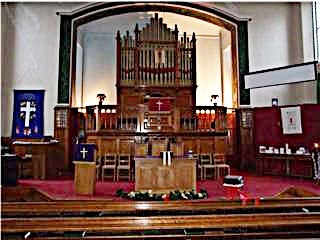 The first URC congregations in Scotland were originally Churches of Christ - including our friends at Shawlands URC which our minister also serves. 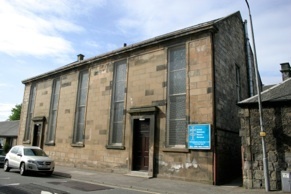 In 2000 the Congregational Union of Scotland united with the URC. As a Reformed Church we are governed by a series of Councils - the Church Meeting, Synod Meeting and General Assembly. 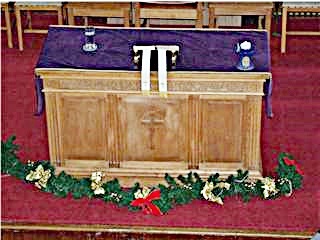 We have three orders of ministry - Elders (often called Deacons in Scotland) who, alongside the minister, look after the spiritual, pastoral and practical life of the congregation, Ministers of the Word and Sacrament who offer spiritual leadership, alongside the Eldership and Church Related Community Workers who seek to find ways to connect the witness of the Church in a variety of local, often challenging, contexts. Every URC is unique with its own history, ways of worship and ethos but we are united in our desire to serve Christ in our world and to work to further His Kingdom. 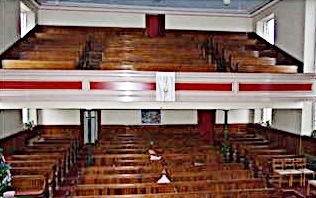 Each congregation is governed by a Church Meeting consisting of all its members. The Church Meeting is advised by, and served by, a Deacons' Meeting (often called an Eldership) and shares, with the Minister, the spiritual and pastoral oversight of the church. Deacons are ordained for life and normally elected to serve for a specific period of time. Congregations, through the Church Meeting, issue a "call" to a ministers. The Church Meeting also elects Deacons from within the membership and accepts new members. Synods operate on a regional level and are made up of representatives of each local congregation, ministers and Church Related Community Workers. There are 11 English synods, roughly corresponding to each region of England, one in Scotland and one in Wales; each is served by a Moderator. The synod and its committees provide oversight within the framework our Reformed polity, giving pastoral care and making important decisions about where ministers serve and how churches share ministry. Through the synods, the URC relates to other Christian denominations at a regional level. Synods have committees and employ staff to encourage and serve local churches.